WASHINGTON —After 35 days, the United States government shutdown of 2018-2019 has finally come to a halt, for the next three weeks at least. 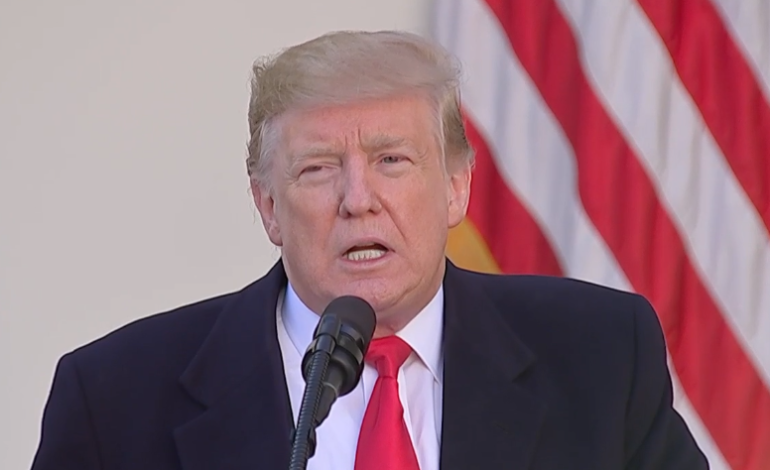 The announcement was made by President Trump on Friday, ending the record-setting shutdown and allowing government employees to head back to work. Trump said that the new legislation will reopen government departments for three weeks, until February 15. Since the shutdown began, about 800,000 federal workers been forced to work without pay or unable to work, in large part because of a disagreement over billions of dollars Trump demanded in order to build a U.S.-Mexico border wall. “President Trump has finally agreed to end the shutdown he created and that is a victory for federal workers and the American people,” said Democratic Senator Bob Casey in a statement. “I am glad the government is reopening and 800,000 federal employees are getting paid,” he said. Trump will not receive any new funding for the wall as a result of the concession.